Are Fed Officials Throwing Main Street Under the Bus? Home » Are Fed Officials Throwing Main Street Under the Bus? Earlier this month, Richmond Fed President Jeffrey Lacker was forced to resign after admitting that he leaked confidential information to the financial press. And Fed Vice Chairman Stanley Fischer just gave a closed-door meeting to high level industry insiders. 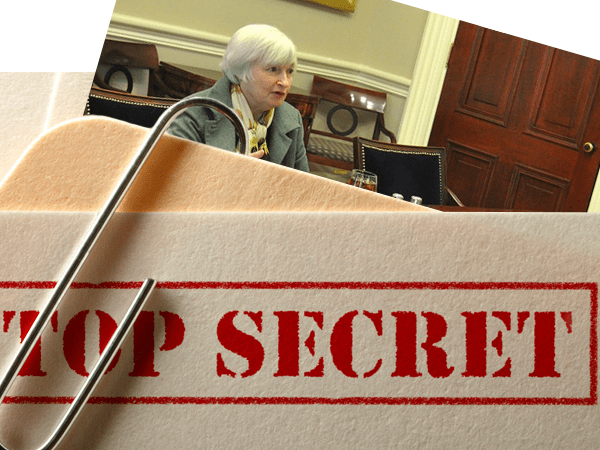 Are Fed officials brokering info under the table? If so, what does that mean for Americans? Richmond Fed President Jeffrey Lacker is now at the center of a major legal probe after he disclosed confidential information about the regional bank’s asset acquisition plans to Medley Global Advisors in 2012 – supposedly, he wants us to believe, by “accident”. In a report published by Medley, several confidential pieces of the regional bank’s plans were accurately predicted, with Lacker cited as a source. Upon these revelations, Lacker claimed he must have confirmed the confidential information by accident during an interview with the firm. “I deeply regret the role that I may have played in confirming…confidential information,” Lacker said in a statement. Lacker said the Medley analyst “introduced into the conversation an important non-public detail about one of the policy options considered by participants prior to the meeting.” Instead of ending the call or refusing to comment, Lacker said the phone conversation continued. “When Medley published a report by the analyst the following day…it contained this important detail about one of the policy options and I realized that my failure to decline comment on the information could have been taken by the analyst, in the context of the conversation, as an acknowledgment or confirmation of the information,” Lacker said. Additionally, he didn’t tell the Fed about the call the next day or when he was interviewed two months later by the general counsel, Scott Alvarez. But all this is only now coming to light. Lacker kept it a secret until investigators came looking for answers. It’s important to note: Medley’s primary audience is high level financial executives and other major players on Wall Street. Which raises the questions, Was Lacker intentionally tipping off the big dogs on Wall Street? If not, why did he keep all this a secret for so long? Earlier this year in March, Fed vice chairman Stanley Fischer spoke at a Brookings Institutional dinner in Washington, D.C.
At first glance, it seems like no big deal. Fed officials speak at events all the time, right? Well, that’s true. But those events are almost always heavily publicized. And if they aren’t recorded, at least a transcript of the talk gets released. But that wasn’t the case with Fischer’s speech for Brookings Institution, where mega bankers, fund managers, and other top tier Wall Streeters heard him discuss highly sensitive central banking policy matters like industry regulation, interest rates, and the Fed’s response to financial crises. Seems like a noteworthy event, does it not? Well, neither the Brookings Institution nor the Fed itself made a peep about the speech – unlike similar speeches Fischer has made in the past. It’s starting to feel like the Fed is doing more to protect Wall Street than Main Street. Wall Streeters have the Fed standing behind them… promising to catch them if they fall and giving them privileged information. But who do Americans have looking out for them? Apparently, nobody but themselves! Maybe it’s time for Main Street to take its money and put it somewhere “off-Wall Street,” away from all these insider shenanigans. After all, why should you put your money in a system in which the biggest players get protected while you’re left out in the cold? Case in point: gold has been known to be an “off-Wall Street” investment, because it carries tangible, undisputed value in the marketplace. Plus, it’s immune to these shady backroom dealings between insiders and central bankers. Wall Streeters might rely on the Fed to help them stay safe and game the system, but average Americans can make their own insider advantage with physical precious metals.